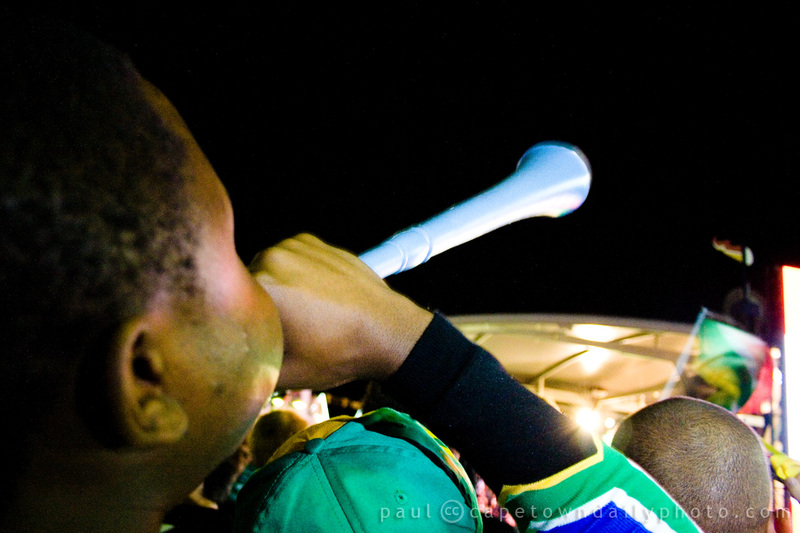 Many foreign visitors to South Africa have bought their own vuvuzelas to take along to matches, fan parks, and actually any place where football is being watched. An interesting thing that we noticed is that sometimes newbie vuvuzela-blowers don't know when it's appropriate to blow the instrument. Sometimes you'll find that the people not accustomed to the vuvuzela blow it when the opposing team scores a goal, or one of their star players is yellow-carded. It seemed as though these folk correlate the "paaaaaaarp" sound with a "booooooooo" when in fact the vuvuzela is intended to be blown when your team scores a goal, or plays particularly well. It's meant as a sound of encouragement. Posted in General and tagged 2010 world cup on Wednesday, 16 June, 2010 by Paul. the fame of the vuvuzelas is gone all over the world. The other day during a demonstration against the government, here in Italy, have appeared hundreds of vuvuzelas making their unmistakable sound. Or golf! Can you imagine the outcry if a Vuvuzela was blasted during a crucial matchpoint where usually even human voices are quietened. Yes that will definitely be a challenge to some contrary person.